There’s a new novel from North Carolina author Charles Frazier (Varina, dedicated to Nancy Olson, the founder and former longtime owner of Quail Ridge Books in Raleigh); Country Dark, the long-awaited new novel from Chris Offut; Florida, by Lauren Groff; and a whole lot more. 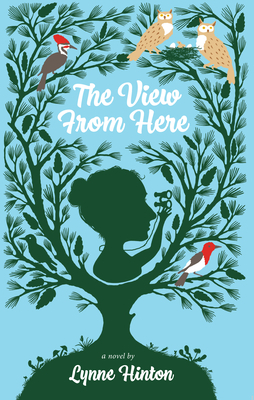 North Carolina Writers’ Network member Lynne Hinton’s new novel The View from Here (NewSouth Books) is among the Okra Picks: this story, about a girl who climbs up a loblolly pine just to see if she can, and then stays, comes out in June. Lynne was born and raised in North Carolina, is a Wake Forest and UNC-Greensboro alum, and the author of twenty-one books, including New York Times bestsellers, and her work has been compared to great writers like Eudora Welty, Rebecca Wells, and Jan Karon. Silas House gave the Keynote Address at the NCWN 2011 Fall Conference in Asheville. His new novel, Southernmost (Algonquin Books), features an evangelical preacher who, in the aftermath of a flood, harbors two gay men. But will his moral certainty that all men are created equal cost him his job, marriage, and children? Southernmost is a tender and heartbreaking novel about love and its consequences, both within the South and beyond. How Sweet the Sound: The Story of Amazing Grace by Carole Boston Weatherford (Atheneum Books) drops in June. Carole gave the Keynote Address at the NCWN 2011 Spring Conference in Greensboro. This hardcover picture book tells the story of the man behind the hymn “Amazing Grace” and the living legacy of the song. “Amazing Grace” has, of course, lifted the spirits and given comfort across time and all over the world to countless people. For the full list of Spring 2018 Okra Picks, click here. This was written by charles. Posted on Friday, April 6, 2018, at 9:45 am. Filed under Uncategorized. Tagged Carole Boston Weatherford, charles frazier, chris offut, eudora welty, Jan Karon, lauren groff, lynne hinton, Nancy Olson, Rebecca Wells, Silas House. Bookmark the permalink. Follow comments here with the RSS feed. Both comments and trackbacks are currently closed.